Or maybe, I should say train fans. Whichever! Nice eye. Or eyes. On a recent episode of anime Sound! Euphonium, the character Kumiko is shown riding a train—a train that looks very slick. Like something you would only see in an anime? Um, no. 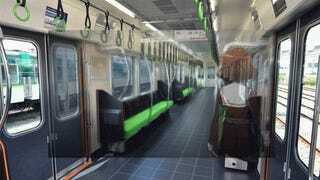 A train that, as commenters pointed out online in Japan, looks exactly like the inside of the Keihan 13000 series, which runs in Kyoto. 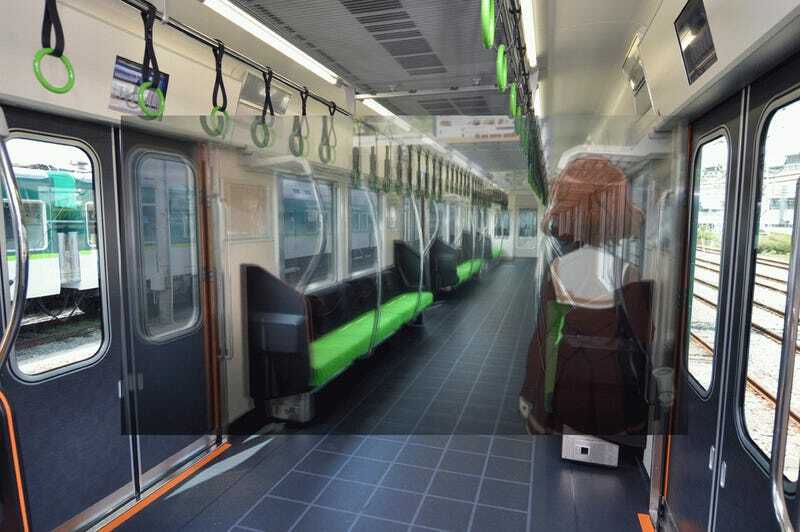 The photo originally appeared on rail fan blog Tetsudo Hobidas in 2012 and the following year, appeared in a 2ch thread on nice trains in Japan’s Kansai region. Of course, this sort of thing isn’t new in anime—or manga, for that matter.